The new trains have been designed to be “accessible and welcoming” and feature a colour palette that links to the rest of the Crossrail network. 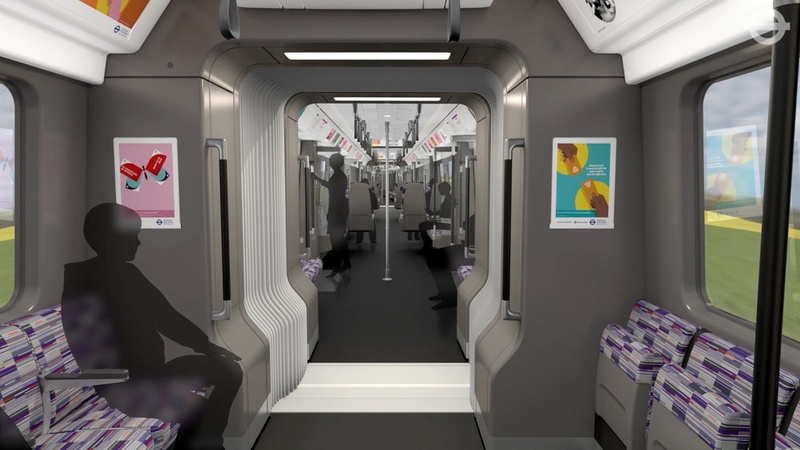 The interior designs for London’s new Crossrail trains, which have been developed with design input from Barber & Osgerby, have been unveiled by the Mayor of London and Transport for London. The new trains are due to enter service in May 2017. Barber & Osgerby has acted as design consultant for the interiors, working alongside TfL and manufacturer Bombardier, which will build the trains in its Derby factory. The new trains are more than 200m-long – more than one-and-a-half times longer than the longest Tube train. They will be able to carry 1,500 passengers in nine fully-interconnected, walk-through carriages. TfL says the new trains have been designed with accessibility in mind. 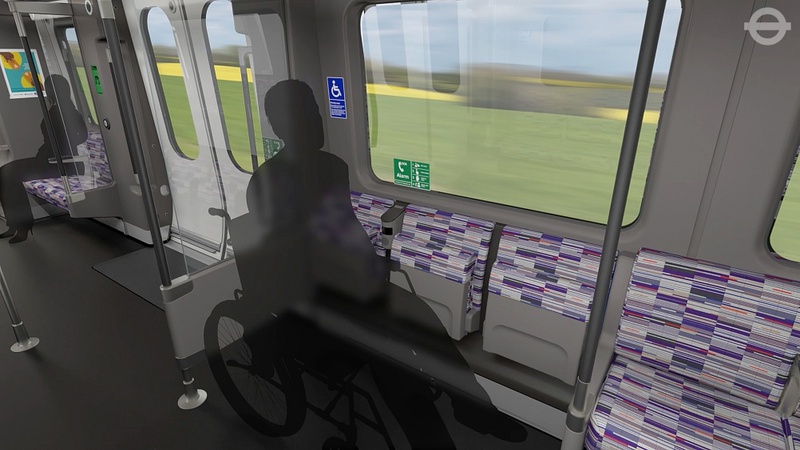 Large, clear areas around the doors will allow for quicker boarding and alighting, it says, while each train will feature four dedicated wheelchair spaces and other multi-use spaces, where chairs can be tipped up to accommodate prams or luggage. Seating will be a mixture of metro-style and bay seats and free wi-fi will be available on the trains. The interior design and colour palette aims to provide “an accessible and welcoming environment”, says TfL. This includes darker floors that aim to “wear in” rather than wear out over use, while light-coloured ceilings aim to maximise the feeling of height and open-ness in the trains. The material and colours also align with Crossrail stations, part of an aim to create a consistent customer experience, TfL says. The new trains will aim to regenerate electricity back into the power supply when braking, which will lead to them using up to 30 per cent less energy than the overground trains they are replacing, says TfL. Edward Barber & Jay Osgerby, say: “We are pleased to be working as design advisors on the new Crossrail fleet. This is an exciting civic project and a key component of London’s transportation future for the next one hundred years. Crossrail will run over 100km from Reading and Heathrow in the west, through new tunnels under central London to Shenfield and Abbey Wood in the east. 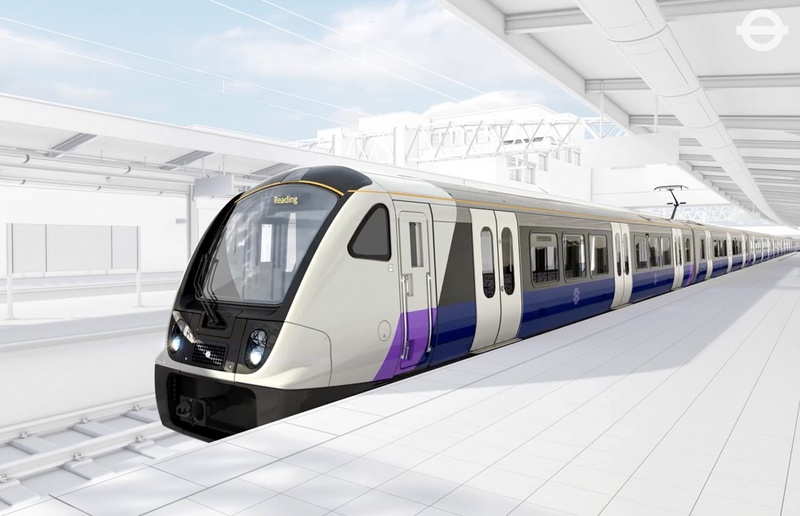 TfL will introduce the new trains from 2017, with the fleet initially introduced to the existing rail network in advance of services commencing through Crossrail’s central section in December 2018.